Here’s another small but very welcome feature in the latest beta of iOS 6 on the iPad: the App Store no longer requires that you enter your iTunes password when you install free apps. In this latest beta (beta 3) of iOS 6 when you tap to install a free app the install begins right away, without any prompt to sign in with your Apple ID. 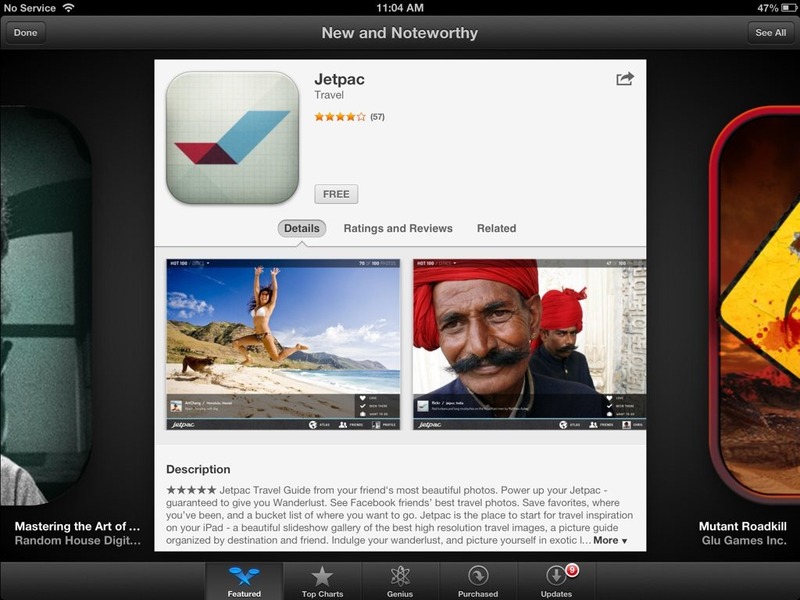 The App Store has had a major design refresh in iOS 6. I like the new look quite a lot – and having features like this one and not being booted to the home screen when installing apps is adding up to a much nicer App Store experience. Hat tip to Killian Bell at Cult of Mac for mentioning this. I’ve tested it out this morning and it works as advertised. Here’s hoping all these App Store features stay in the final release version of iOS 6. This I *don’t* like. The last think I want is when a friend or family member borrows my iPad for a few minutes (which i am totally cool with) is for them to install some crap as a joke. I keep my devices pin-locked so they couldn’t do it anytime, but I am always showing them an article, video or something where they have access to the device. I agree that you should never have to put in your password for updates – that is just silly. But I like being able to control what is installed, free or not. 100 reasons to like iOS6. 1 to not like it, unless they make this an option. Maybe they should make all of these App Store ID / password type changes optional via Settings. I can see scenarios where all of them are helpful, and cases like yours on this oen where they are not. Totally agree that this NEEDS to be a setting. For those of us with kids and borrowers, we need the ability to keep new apps locked down by needing password. Updating of apps without password (might as well make that a setting too) would also be welcome. Although I have an Android phone, I do use my iPod Touch for music (personal choice) and my iPad2 in place of a PC. This is long overdue! Thank you, thank you, thank you! Agreed that I don’t like that free apps can now be installed. I use restrictions so my kids can’t make in-app purchases and it’s a small pain to have to unrestrict it when I make in-app purchases. I’d hate to have to do the same thing with apps now. What I really want is multiple accounts on my iPad. Have a log-in option so my kids can go in and read books, play games, watch videos without being able to get into settings or the general internet. Give me a log in with my network tools, office suite, and full settings control. Give my 80% blind family member a log-in with everything at 48 font size and the amazing/wonderful vision accessibility options enabled.